A music publication bought in a Welsh charity shop featured a local recording studios advert. 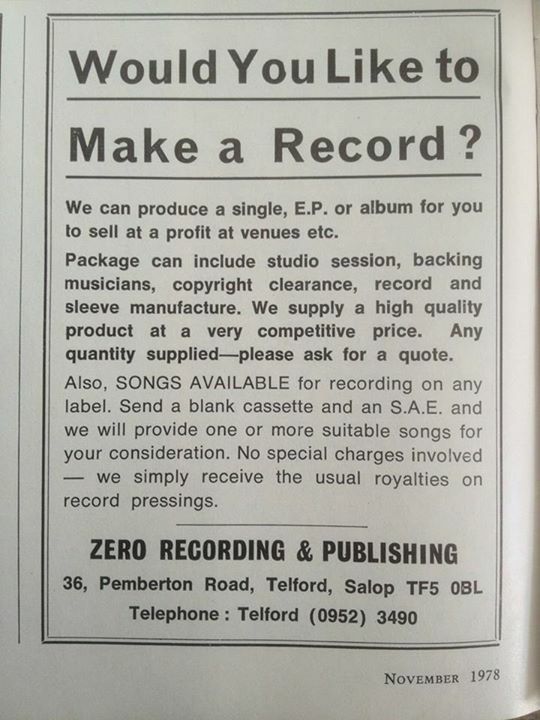 The advert for Zero Recording & Publishing based in Admaston in Telford, offered budding music recording artists the chance to lay down a track and have it pressed onto vinyl. The magazine was purchased by Twitter user Figjam Wigwam and no sooner had he snapped the magazine advert Phil Summers laid claim to placing it. Phil said that he ran the music business from home in Admaston and then moved to Market Square in Wellington. The advert dates back nearly 30 years.